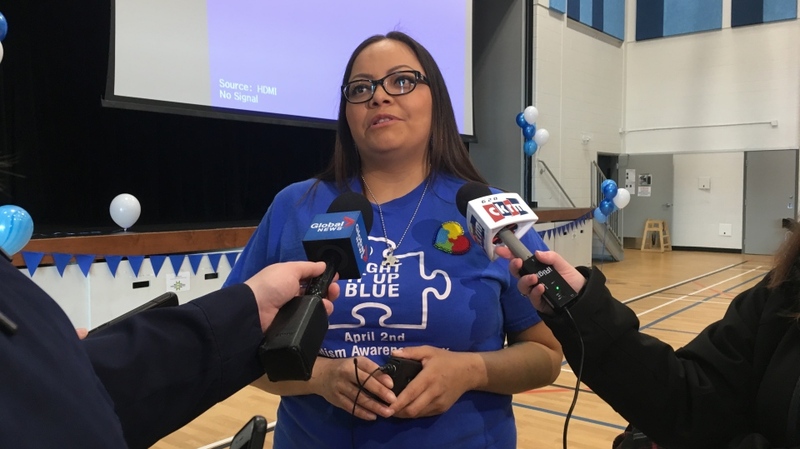 Tuesday was World Autism Awareness Day, and one Regina mother used the day to advocate for children with autism. "I didn't want to look at it as a bad thing,” Jeanelle Mandes said. “I wanted to grow from it, so I wanted to do as much research as I could on it." Mandes’ 10-year-old daughter Sharlize has a mostly non-verbal form of autism. She often takes photos and videos on a tablet in order to watch later and remember. It’s the videos taken by her mother for her thesis documentary that are being shown for World Autism Awareness Day. It looks to bring focus to the struggles children with autism face in rural Saskatchewan, particularly on First Nations. "Big cities - they have the resources available but those living in First Nation communities or rural towns or northern remote communities, they have zero access to those kinds of supports," Mandes said. Minister of Education Gordon Wyant said the government is working on a possible solution that would see specialists travel to remote areas. But in Mandes' said it isn't only rural areas she'd like to see with more supports. She recently found out Sharlize is being transferred to another school in Regina because she is prone to aggressive meltdowns. Sharlize has been transferred several times in the last few years - and Mandes said if even Regina is struggling to accommodate her, it only highlights the situation in rural Saskatchewan. "They can't handle her," Mandes said. "So this is their solution, putting a bandaid over it, transferring her to a different school." Minister Wyant said he knows there's more work to be done for autism supports across the board in Saskatchewan, to make sure all children with autism in the province get the supports they need - both in cities and rural areas.